US researchers have found a new way to weld together metal nanowires - simply by bathing them in white light. The finding could offer a new way to fabricate transparent nanowire meshes for electronic applications in areas such as touchscreens and organic photovoltaics. Erik Garnett and colleagues at Stanford University used a technique called the polyol process to synthesise silver nanowires 30-80nm in diameter and 3-10µm long. The process results in nanowires that are coated in a molecular sheath of polyvinylpyrrolidine (PVP). The nanowires were deposited on a surface randomly by dropping or spraying. This resulted in many of the wires lying over one another in a criss-cross pattern. 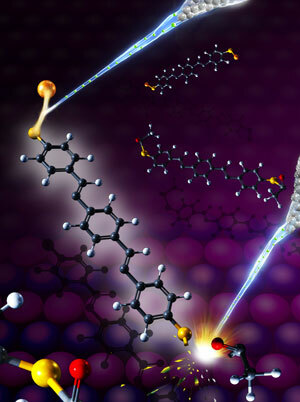 Due to the layer of PVP where the nanowires cross, a gap of about 2nm exists between them. Researchers at the University of Sheffield in the UK have now demonstrated the ability to reliably weld individual nanowires and nanoobjects into complex geometries with controllable junctions. This represents a significant breakthrough for the current and future bottom-up localized assembly, integration, and repair of micro- and nanodevices. Inkson is a Reader in Nanostructured Materials at the University of Sheffield’s NanoLAB and Chair of the UK NanoFIB network. As part of the RCUK Basic Technology programme in Nanorobotics, where Inkson is project director, she and her team (post doc researcher Yong Peng and Professor Tony Cullis) have developed a new way to weld together individual nanowires and nano-objects using tiny blobs of metal solder less than 250 atoms across. This nanoscale electrical welding technique radically improves the spatial resolution, flexibility, and controllability of welds between individual nanowires and nanoobjects. Inkson notes that the key advance is to avoid detrimental current flow though the nanoobjects to be joined and instead to locally deposit nanoscale volumes of a chosen metal at the weld site by Joule heating a sacrificial nanowire. The new nanowelding technique can be used to join nano-objects with a wide range of shapes and chemistries, and so could be used in the future as part of a 3D nanoscale fabrication line. 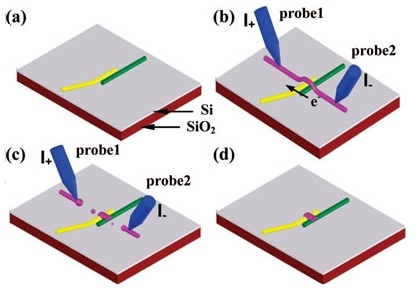 Nanosolder can also rejoin things that have come apart during use, such as interconnect wires in computer chips which often fail by the formation of holes (by ‘electromigration’). Nanosolder has immediate research and industrial applications including fabrication of multifunctional nanosensors and nanoelectronics constructed from a small number of nanoobjects, and repair of interconnects and failed nanoscale electronics. The Tunguska Event - Meteorite or Comet ? What is Liquid Crystal ? What is Yield Strength ?